I made a poster today. 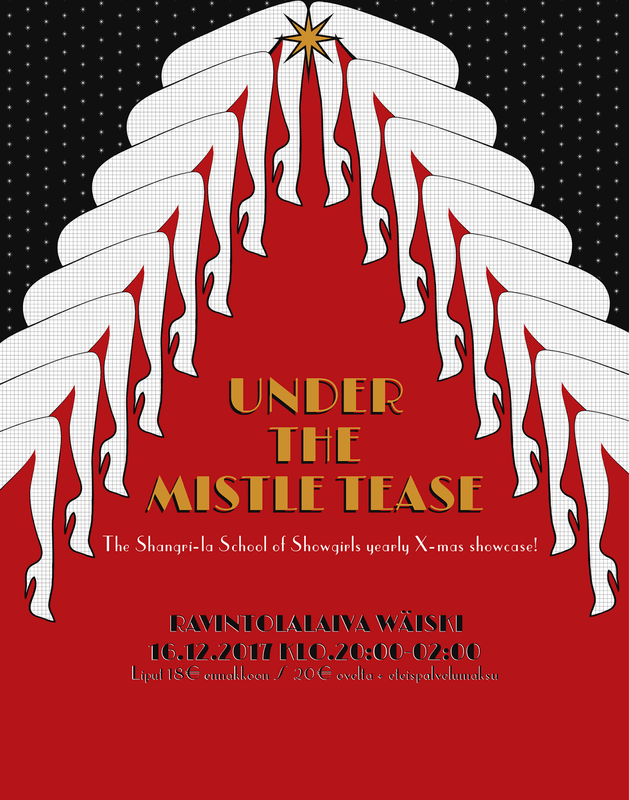 This will be the fifth edition of Under the Mistle Tease already! Crazy how time flies. More info on the event page, tickets from our Studio Shangri-La webshop. But before that it's time for our other event; the Halloween edition of Rubies Klubit: M�RK�KLUBI! October 28th at Sture 21. Be there or, umm, be taken by some ghouls or so.